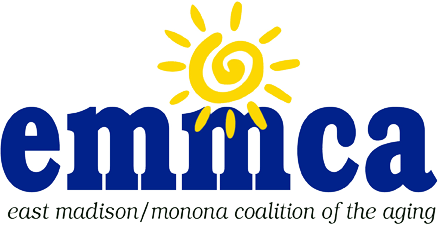 East Madison Monona Coalition | Nutrition Site from Keiana R. on Vimeo. Are there times when you have difficulty making healthy meals? Are you looking for an opportunity to socialize with others? EMMCA and Dane County provide meals Monday through Friday to area seniors. This is an opportunity for seniors to have a nutritious meal and to socialize with other seniors. Those 60 and older: The suggested minimum donation for those 60 and older is $4.00 per meal. Please only donate what you can afford. On Friday order from the regularly priced Cranberry Creek breakfast menu and pay restaurant cashier. Call (608) 223-3100 by 10:00 am the day before you wish to eat a lunch; no reservations needed for breakfast at Cranberry Creek. Call Transit Solutions at (608) 294-8747 by 10:00 am the day before you need a ride. To see a schedule of meals and activities for this month, please click here. This will bring up the EMMCA Messenger in electronic format; the nutrition meals and activities are typically on page 10 of the newsletter.